On October 1, 1982, Walt Disney World’s Epcot Center opened with five Future World pavilions and nine World Showcase Pavilions — Mexico, China, Germany, Italy, American Adventure, Japan, France, United Kingdom, Canada. Located along the World Showcase Lagoon, the Epcot Germany Pavilion is full of authentic German merchandise, food, and music. Take this fun quiz and test your knowledge of Epcot’s Germany Pavilion! On October 1, 1982, Walt Disney World’s Epcot Center opened with five Future World pavilions and nine World Showcase Pavilions — Mexico, China, Germany, Italy, American Adventure, Japan, France, United Kingdom, Canada. Located along the World Showcase Lagoon, the Epcot Germany Pavilion is full of authentic German merchandise, food, and music. Take this fun quiz and test your knowledge of Epcot’s Germany Pavilion! The Germany Pavilion, at Epcot is located between China and what other pavilion? What was the original planned Germany Pavilion attraction, which was never actually built? What is the name of the sit down table service restaurant in the Germany Pavilion? What is the name of the walk up quick service restaurant in the Germany Pavilion? Which Walt Disney Princess has a regular meet and greet in the Germany Pavilion? What is the subject of the large statue in the courtyard of the Germany Pavilion? Which is NOT the name of a store in the Epcot Germany Pavilion? What specialty does the shop Karamelle-Kuche sell in the Epcot Germany Pavilion? 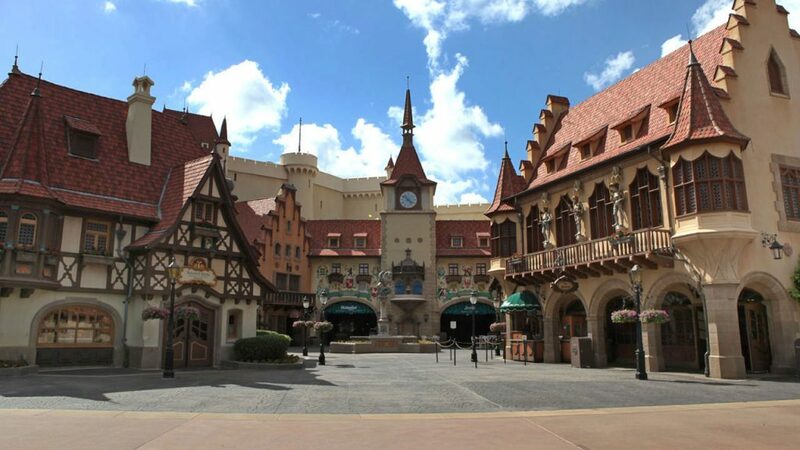 The Biergarten restaurant, in the Epcot Germany Pavilion is designed to look like an old German town square at which celebration time? What is the name of the walk up location where you can purchase wine, beer, and cheese plates in the Epcot Germany Pavilion? Not my best quiz lol Guess I need to spend more time in Germany! Yeah, i totally didn’t know these.